Within the last few years Computer-to-Plate technology (CTP) has become more widely accepted by the newspaper industry as a viable solution for prepress and platemaking needs. Newspapers that have already changed to a CTP workflow have eliminated conventional platemaking steps- imaging film, paste-up, stripping, and plate-burning- thus streamlining their workflow and reducing time and labor costs. 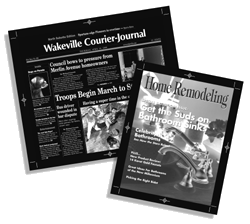 Mitsubishi Imaging has been providing newspapers with direct-to-plate solutions for more than ten years and is an industry leader in CTP utilizing Silver DigiPlate™ technology. Let us show you how the Digital NewsPro program will enable you to produce first generation printing plates, directly from your digital files with little to no capital expenditure. Get in touch with us today and discover how affordable CTP can be with Silver DigiPlate™ and our Digital NewsPro System. Mitsubishi puts all the right pieces together to customize a Computer-to-Plate system that is just right for you. The Katana platesetter is the perfect solution for newspaper platemaking. 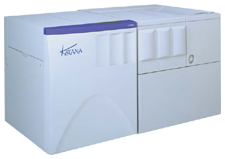 The Katana can output about 22 plates per hour at 1200dpi to meet the high-speed demanded for today’s tight deadlines and high resolution output. The PF107 is a variable size heat bender and features adjustable bend sizes and adjustable temperatures to make perfect plates for the plate cylinders on your web press.